Without much doubt, the prayer we once prayed sometimes ago is beginning to come to reality. Few months ago, we seriously anticipate the arrival of AIS (Android Internet Service) from various network but today, Airtel seems to be topping the chart for AIS. All thanks goes to Engr Wale for drawing my attention to this early hours of this morning. Airtel AIS I know is going to make a lot of sense to a lot of Android users and it’s going to prompt other network to arise from their slumber because they won’t want to loose customers. How Can I Check Airtel AIS? This plan works on all android phones. Now, when you make a post on FB, you’ll see via Android internet Service. The question is, will you rather go for this Android plan or rock Airtel 4GB for #1,500 that will last you for 2months? Awsome step ….but my glo bis. Sure pass for now …. Airtel 4GB for #1,500 sure pass for me. and what if one is not eligible..anyway out?? Mr Yomi I am sorry to ask for this on this thread. Pls how can I enjoy my unlocked modem wit the cheapest data plan? I use bb and I do sub on Mtn network. How can I enjoy these two devices pls? Since your modem is unlocked, you can go with Airtel 4gb for 1500 or the current cheap mtn data plans. 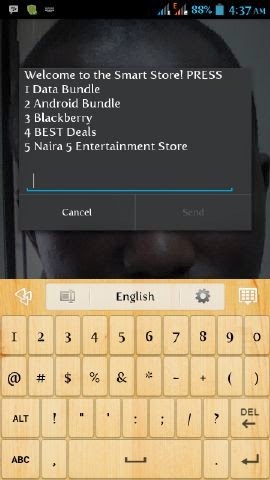 If u re using bb10, glo bis will be best for u as u can share it to ur pc. pls my samsung s4 mini is not working fine since i make an error trying to change the imei is showing invalid imei and i cant download from googleplay or change network to 3g pls help me. am ayo. a gud step… bt stil xpensive may wit time dy would reduce d price wen dir is more competition 4m oda networks… GLO ROCKS 4 NW 1K – 3GB SO SWEEEEEEET!!! Mr yomi, I jsy got a bb z10 pls wich ntwrk is d best and cheap 4 me to use on it. Glo Bis is the best network for your bb10 friend. Just go to whatsapp.com/download to get it or did u experience any error while doing that? Prof pls how do i check d data balance of this new android data plan? My airtel bis 4gb still zaps fast. How can i reduce/normalize it? How will I deactivate background app running on android? @ prof yomi. I've done dat but still not browsing, pls any help out there? Sir.i have a problem with my tecno h5.the screen of the the phone will just off while the phone is on the volume key and the power key will be Woking as wel but the screen will be black.the home key,option key and exit will show light. Until I remove the battery and put it back. Pls what's wrong with my phone.does it brick or not?